Want a fun way to show your love to your daughter? 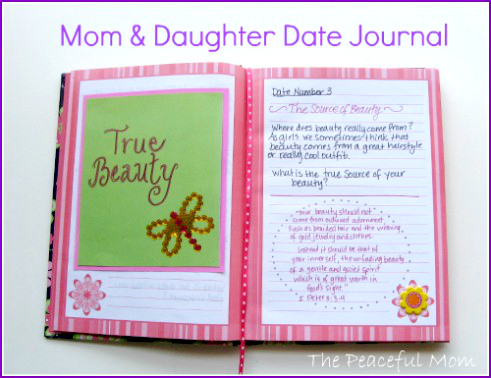 Try a Mom and Daughter Date Journal! Spending intentional time with our daughters when they are young helps them to know they are special and creates a bond that we need when our girls reach the turbulent teen years. 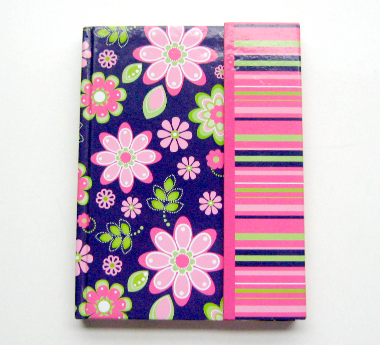 I first bought this hard bound journal in colors that I knew my daughter would like. I especially like that it has a flap and a magnetic closure for holding in any extra pages or loose items until we can get them mounted. You can find these at discount stores, bookstores and even some dollar stores. Amazon also has blank journals here. I glued a ribbon in the back to use as a book mark. This step is unnecessary but made the book feel a little more special. I then printed this FREE printable poem and glued it to the first page. Click here to print one for your journal! I use the book to write messages and discussion questions for our dates. 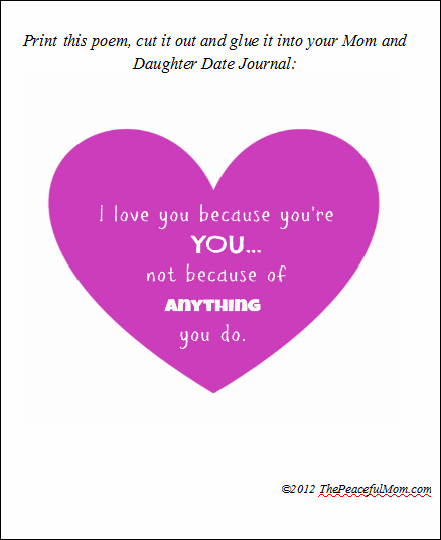 You can print FREE Mom and Daughter Date Journal–Journal Prompts here. Even if you think you have poor handwriting, it will mean more to your daughter that you hand-write these messages. 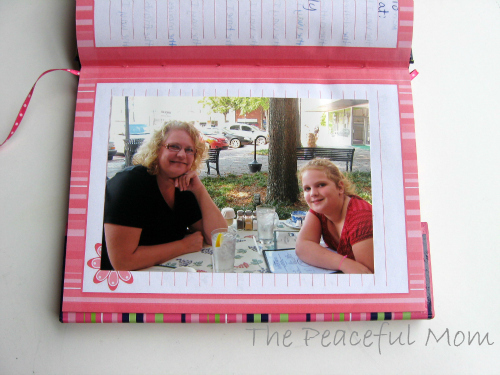 You can also add photos from your dates and let your child decorate the pages with stickers to make it fun. 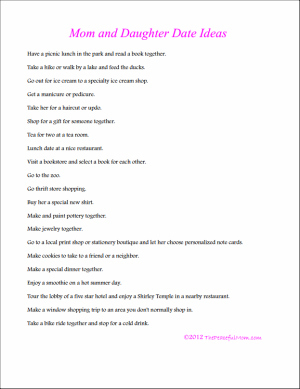 Print a list of Mom and Daughter Date Ideas here. Remember, your dates don’t have to cost a lot of money. You can make them special by dressing up and talking about how excited you are to spend time with your daughter and how much fun you will have together. I hope you enjoy making a book with your daughter, but even if you use it only to write special messages, it will become a tangible representation of your love for your daughter and a treasured keepsake for her as she grows up. 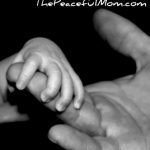 *If you would like more date ideas, check out the book: 8 Great Dates for Moms and Daughters: How to Talk About True Beauty, Cool Fashion, and…Modesty! Previous Post: « Gluten Free Deals: $25 for $15 at Vitacost, Envirokidz Bars for $2.49 a Box and More! Thank you so much for the idea. I am going to start doing this with both of my children. My son (7) and daughter (3). I love the idea! Yay! So glad to help. Thanks for letting me know. ? Thank you so much for this post. What wonderful Ideas! Thanks again. 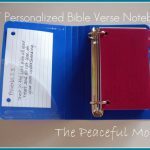 this is way cheaper than scrapbooking..now i can make journal-scrapbooking to gather memories..i could also have a husband and wife journal…i love this! thanks! I would like to know is there any ideas for mom and son date ideas too and what about a journals for mom and son too. my son got really upset when there was not one for him so I kinda made one for him and he was kinda ok with it but not really. so how can kids at any age deal with a love one with cancer and all they want to do is spend more time with them. all my kids are dealing with me and my cancer. Hi Amy! I am so sorry that you are dealing with cancer. I cannot imagine how difficult that must be. As far as the journal, I think that the most special thing that you could do is just write notes to your son about things that you love about him, and the hopes and dreams you have for his future. I hope this helps. If there is something else I can help you with, please let me know. Even though we have only been writing in for a couple of weeks, it has brought such joy to me.. I have already learned more about my daughter in just a couple of weeks, she is smarter and funnier than I had previously given her credit for!! 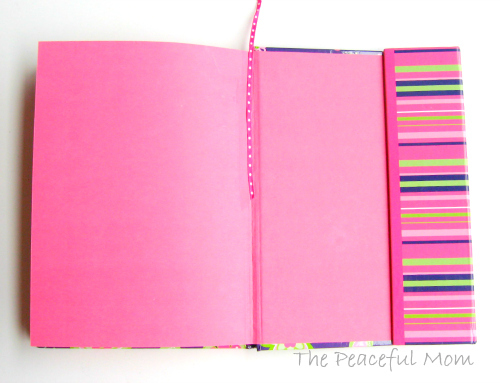 I am definitely going to incorporate some of your ideas, into our journal this summer.. Thanks!!! I love this idea. All though my daught is only going to be 5. I think that she will love to beabke to look back at these as she gets older. Plus it is a bonus that she will get one on one time with out her brothers. Thanks for this idea. I really like this idea! Always trying to come up with bonding activities for my daughter and me. 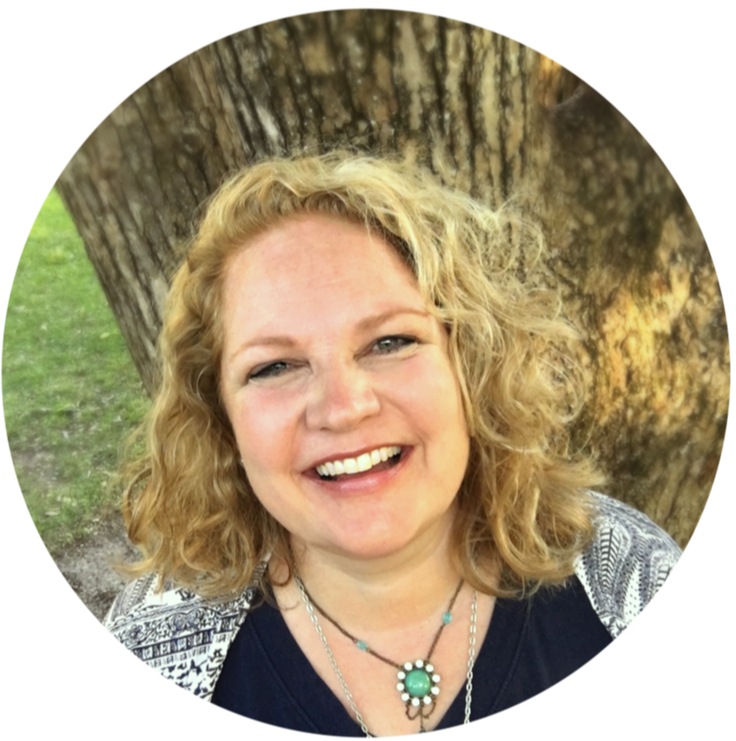 Homeschooling her @ the age of 20 w/AS, ADHD, and LD’s make our days challenging and sometimes stressful. I look forward to following through w/this idea! I love this idea. However, I have a son. I’m thinking it may be possible to translate the idea over to activities I can do with him. Also maybe a Daddy and Son type thing. Definitely! There is a great book: Raising A Modern Day Night that can give you some good ideas. I absolutely love this idea! My daughter and I have a journal that we randomly write in and exchange back and forth but I like that this will be a keepsake of our special mommy & me times. 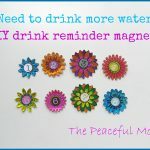 Thanks so much for sharing your printables so I don’t have to create my own!